This artisan family biscuit factory was founded by Odette and Louis Gazaud in 1967, in the Montcuq town of Quercy, not far from Cahors. Initially named the Biscuiterie Gazaud and then the Biscuiterie Les Saules, it was renamed the “Biscuiterie du Quercy” in 2010, due to its strong ties to regional values and local recipes (like our Curbelets, a thick rolled wafer that is a local Quercy delicacy). Patrick and Christian took over the reins from their parents, the founders, and are responsible for the national reach that the brand enjoys today. The biscuit factory now boasts modern production facilities that nevertheless respect traditional production processes to satisfy our loyal customers’ taste for artisan biscuits. An unencumbered, dynamic structure gives the Biscuiterie du Quercy a great degree of flexibility and ability to respond quickly to requests for new products (traditional artisan biscuit range and organic range). 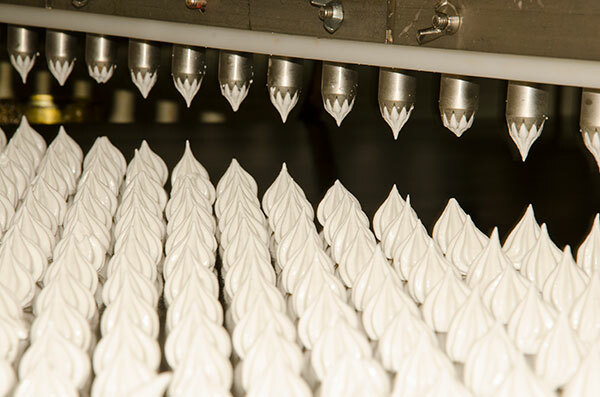 Compliance with food standards, product innovation, and special production runs are just some of the Biscuiterie du Quercy’s greatest assets. 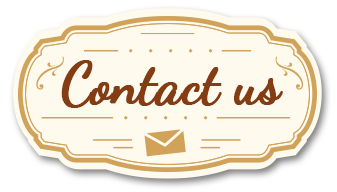 Our speciality biscuits are sold mainly through wholesaler customers, delicatessens, and specialist organic networks in France and for export (mainly to European countries). Orders from “Selection-Makers”, who create gourmet hampers and selection boxes for corporate gifts, represent a rapidly growing proportion of our business. 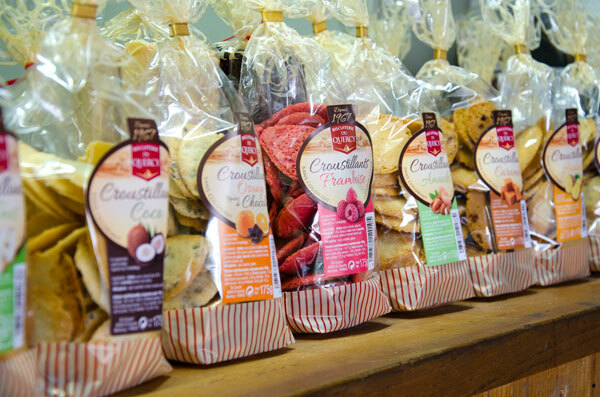 For these professionals, the Biscuiterie du Quercy is harnessing all of its flexibility in production to develop special recipes and assortments suitable for packaging in small quantities, offering the very best gourmet value for money. A range of more than 30 products is already available, but it can also be fully customised to meet your needs. Please feel free to ask!